Jet Airways India Ltd.’s lenders invited initial bids to buy as much as 75 per cent of the debt-laden carrier, starting a process that will determine the future of India’s oldest surviving private airline. Potential buyers must submit their interest by April 10, State Bank of India Ltd., the lead creditor, said in a document Monday. A strategic bidder should have a net worth of at least 10 billion rupees (Dh529 million; $144 million) in the preceding financial year, or at least three years of experience in the airlines business. The airline is credited with successfully breaking the monopoly of state-run Air India Ltd. and was once India’s second-biggest carrier, but its fleet has dwindled to 26 planes from 124 as recently as January. Accumulated losses in nine of the past 11 years have caused Jet Airways to delay payments to banks, lessors and employees, while its founder Naresh Goyal was forced to cede control of the carrier. Shares of Jet Airways fell 1.5 per cent to Rs252.30 as of 9:42am in Mumbai, extending this year’s losses to 9.1 per cent. The stock dropped 67 per cent last year. 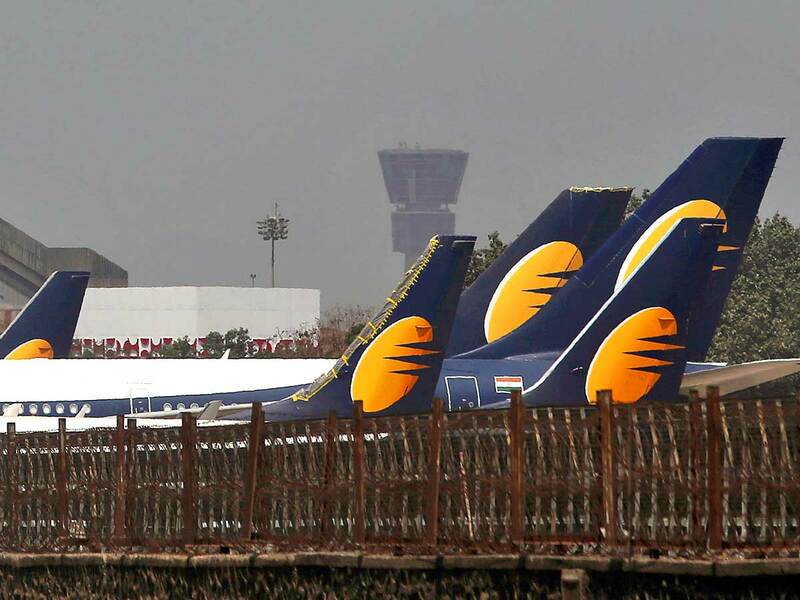 Jet Airways, part-owned by Abu Dhabi’s Etihad Airways PJSC, needs Rs85 billion to get back on its feet after a fare war by budget airlines wiped out profits and it racked up debt of more than $1 billion (Dh3.67 billion). The fate of Jet Airways is crucial to the legacy of Indian Prime Minister Narendra Modi as he faces an election that begins April 11 after holding power for the last five years. While he remains the favourite in the polls, his party has faced setbacks of late and he has been criticised for not living up to a key election promise to create 10 million new jobs a year. A collapse of Jet Airways, with 23,000 employees, could further dent his credentials. Consortiums submitting bids should have no more than three members, with each holding a share of no less than 15 per cent, according to Monday’s document. After qualified bidders are selected, they will be provided access to the company’s data and the bid document. Lenders led by State Bank of India said last week that “other options” may be considered if efforts for the stake sale “don’t produce the desired result,” without elaborating on what the options could entail. The bank group had agreed to take a 50.1 per cent stake at an effective cost of 1 rupee through the issuance of 114 million new shares in an attempt to bail out the carrier. It was a manoeuvre that was allowed under a framework outlined by the Reserve Bank of India last year for companies with a negative net worth as a temporary measure. However, a surprise ruling by India’s top court last week squashed that framework and raised questions once again about the airline’s future. It’s unclear what happened to as much as Rs15 billion of immediate funding that banks said last month they would provide the carrier. Earlier, the Indian government was said to be looking into options to save jobs at Jet Airways, including by asking other airlines such as low-cost operator SpiceJet Ltd. to consider taking over some aircraft, according to people familiar with the matter.